This week we are graced by the presence of the wonderful writer/director, DeMane Davis (Lift, 'Queen Sugar', 'How to Get Away with Murder'). She's on the program this week to discuss The Wiz. She and April begin the conversation by fawning over the performance of the one and only Diana Ross as Dorothy. They also cover the technical prowess of director Sidney Lumet, and why he considers this film somewhat of a failure. The conversation then turns towards DeMane's work as a TV director. They go in depth on what a day on set actually looks like. DeMane tells a story about a time when the producers of her feature Lift brought on another editor. But she also stresses that the most important thing is getting your work out in to the world. And lastly, DeMane emphasizes the lessons she learned from The Wiz about believing in yourself, and that when you are comfortable and confident in the work that you're doing, that's when you become really dangerous. You can see DeMane's episode of How to Get Away with Murder on February 14. 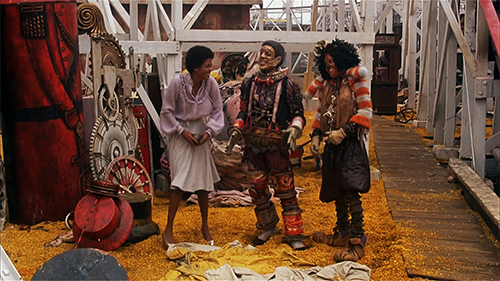 If you haven't seen it yet, go watch The Wiz. With April Wolfe and DeMane Davis.